Considering our population, the Central Coast seems to have more live music to choose from than anywhere in the universe. This week, as usual, there are some must-see out-of-towners coming, and I’ll get to them, but let’s start with a slew of our best local acts. Over at SLO Brew, surf/garage/punk rock newcomers Hayley and the Crushers will officially release their debut full-length album, Jewel Case, and headline a multi-band show this Sunday, Oct. 9 (7:30 p.m.; all ages; free). Hayley is, of course, a local music veteran who’s also a member of Magazine Dirty and the Tarweed Two, among other acts. The Crushers is just her newest incarnation with husband and bassist Reid Cain (aka Dr. Cain) and drummer Gabriel Olivarria. She’s also New Times’ Flavor columnist. CAKE WALK : Hayley and the Crushers bring their surf/garage/punk to SLO Brew on Oct. 9. In addition to releasing their new album on CD, it’s also available—like their previous recording Gidget’s Revenge, an EP released in March—on cassette tape! What the hell? Do people even have tape players anymore? You’ve done straight punk, country, rock. What sound are you going for here? The three members clearly have affection for one another. So that’s what people should prepare themselves for at a live Crushers show? Hayley is definitely a style maven. She and Reid live around the corner from my wife and me, and even when she’s out walking their dogs, her style looks like a Madonna Inn cake. How did she find her voice and style? 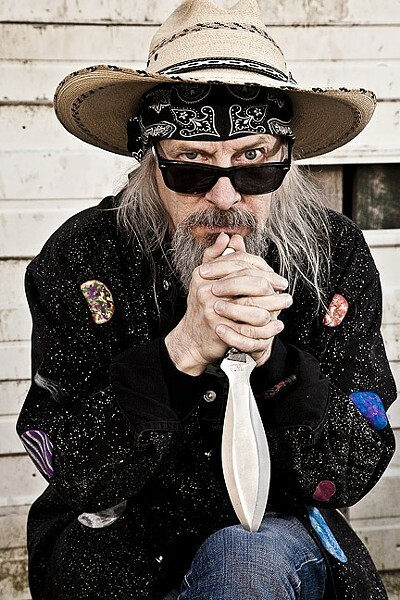 This Sunday’s show starts with a special magician guest artist, then the bands Other Houses, Justine and the Highs (of Orange County), Hayley and the Crushers on at 9 p.m., followed by Pancho and the Wizards. CDs and cassette tapes will be available at the show. Also this week at SLO Brew, the incomparable Budos Band brings their big horn sound to the club on Saturday, Oct. 8 (9 p.m.; 18-and-older; $20 general admission or $40 VIP balcony at ticketweb.com). On their fourth album, they shifted gears a bit. “This isn’t The Budos Band IV,” drummer Brian Profilio proclaimed in press materials. 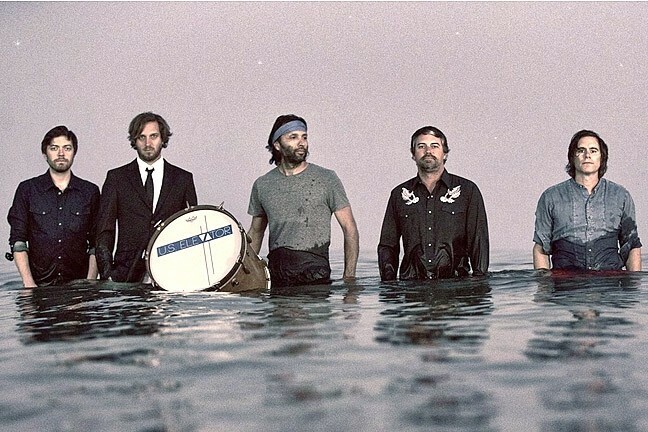 “This isn’t just more of the same.” A follow-up to 2010’s The Budos Band III, their newest album, Burnt Offering, brought something new to the table. “We made a conscious decision to embark on a new sound,” baritone saxophone player Jared Tankel explained. Also, mark your calendars for next Thursday, Oct. 13, when Johnny Cash tribute act Cash’d Out plays the Brew (8:30 p.m.; 18-and-older; $12 general or $30 VIP). Tim Jackson might have started his musical life as a dyed-in-the-wool rocker, but as his career has continued, he’s morphed into a very fine folk artist and solo touring musician who every few years delivers another collection of memorable songs ranging from the emotionally resonant to tongue-in-cheek hilarious. LOCAL LEGEND: Tim Jackson delivers his 10th album, Gasoline and Guitar Strings, during two album release shows: Oct. 7 at Paso’s Chatteau Lettau and Oct. 28 at SLO’s Band the Drum. The first two tracks on his 10th album, Gasoline and Guitar Strings, are perfect examples. “I Can’t Sleep” is about a man tormented by love: “Three A.M., tossin’, turnin’” the song begins. “He can’t sleep over you, nothin’ he can say and nothin’ he can do.” He gets background vocal help from his Mesa/Bluemoon labelmate Dulcie Taylor, delivering a poignantly romantic song. These songs are a lot of fun, and Jackson’s raspy-and-rough-around-the-edges voice and energetic guitar work make for an engaging live show. 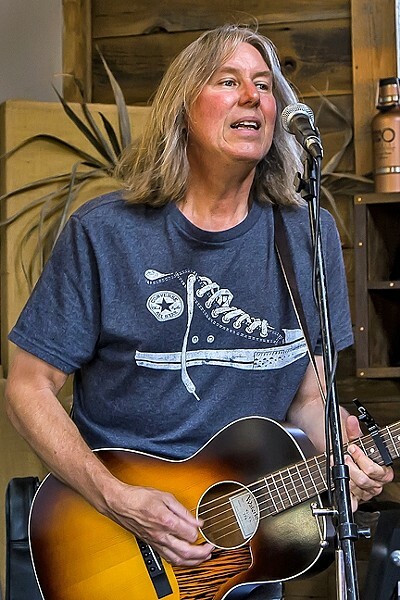 Jackson will have two CD release parties this month, a North County gig on Friday, Oct. 7, at Chatteau Lettau in Paso Robles (6 p.m.; all ages; free), and a SLO Town gig on Friday, Oct. 28, at Bang the Drum (7 p.m.; all ages; free). Bring some dough to pick up a copy of this very fine CD, which also features local players such as Ted Waterhouse, George Nauful, Dave Miller, Freeman Lee, Tracy A. Morgan, Karen Wilkins, and Robert Alberts. DEAD AIM: Phil Lee will throw his straight-to-the-heart tunes at Tooth & Nail Winery on Oct. 9, during Central Coast Live! Radio’s Central Coast Blues Jam. Central Coast LIVE! Radio, an online streaming service that focuses exclusively on Central Coast music, is quickly becoming an important part of the local scene, and this Sunday, Oct. 9, they’re hosting the inaugural California Central Coast Blues Jam at Tooth & Nail Winery (noon to 5 p.m.; $25 to $100 presale or $30 to $110 at the door, available at centralcoastbluesjam.com). Expect a tightly orchestrated showcase of local acts playing short sets. TALENT TO BURN: The amazing alt-soul and rock act The Monroe plays Oct. 7, at Templeton’s Barrelhouse Brewing. The event benefits the SLO nonprofit MUSE Arts Education and Central Coast LIVE! Radio. This promises to be amazing! For my money, The Monroe—now stripped down to a lean four-piece powerhouse—has more raw talent than any young band I’ve seen around here. They formed in 2012 and over the past four years have seen some personnel changes and a redefining of their music, but between Morgan Monroe’s thrilling voice and multi-instrumentalist Dr. Isapony X.D.’s straight-up musical genius, they remain my vote for most likely to succeed. On Friday, Oct. 7, The Monroe plays in the garden of Barrelhouse Brewing in Templeton (5:30 to 8:30 p.m.; all ages; free). Over in the Good Medicine’s world, they start their week with US Elevator, a ripping good band recently formed by Johnny Irion, who’s best known for playing with his wife of 17 years, Sarah Lee Guthrie, as well as folk dynasty The Guthrie Family for the past decade. 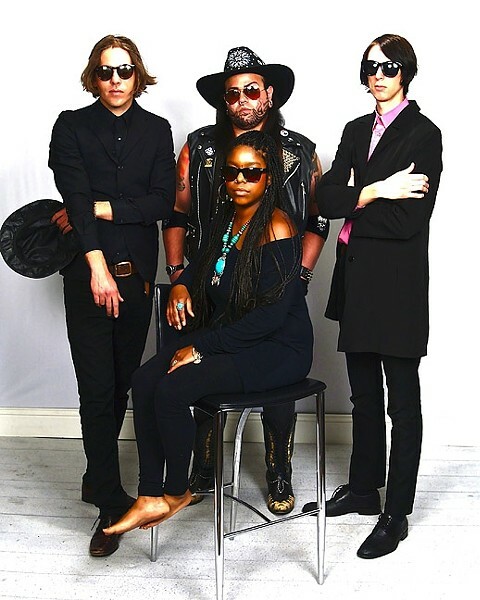 GOING UP: US Elevator, the new side project fronted by Johnny Irion (far right) plays Tooth & Nail on Oct. 7. The results are killer! The album’s 11 tracks are richly orchestrated, mysterious, and filled with Irion’s musically inventive songs that have a decided experimental ’60s feel. The Beatles, Neil Young and Crazy Horse, Gram Parsons, The Hollies—the influences are unmistakable and irresistible. US Elevator plays Friday, Oct. 7, at Tooth & Nail Winery (5:30 p.m.; all ages; free). Also thanks to Good Medicine, see Big Bad Voodoo Daddy on Thursday, Oct. 13, at Tooth & Nail Winery (6:30 p.m.; 21-and-older; $35 presale at ticketfly.com or $40 at the door). The retro jump blues and swing act puts on an off-the-hook live show! GUITARISTA! 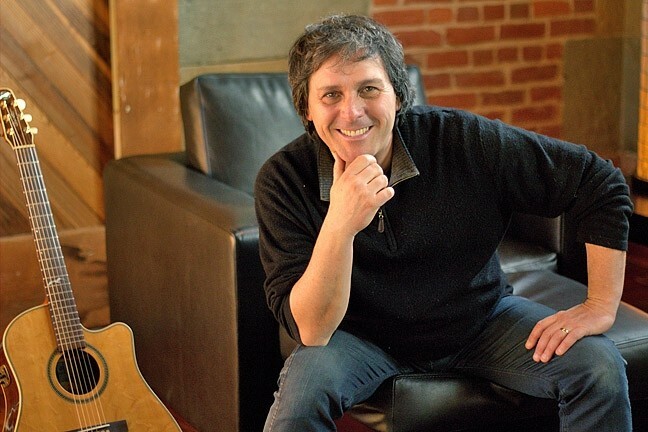 : SLOfolks has once again booked one of the world’s premier acoustic guitarists, Peppino d’Agostino, who’ll play Oct. 7, at Coalesce Bookstore, and Oct. 8, at Castoro Cellars. The Red Barn Community Music Series presents Southern roots music proponents Thompsonia on Saturday, Oct. 8 (5 p.m. potluck, show at 6 p.m.; all ages; $15 at the door). 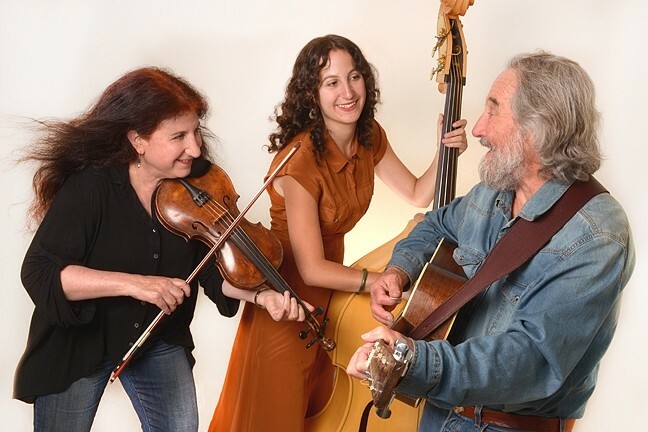 “Thompsonia, comprised of Eric, Suzy and Allegra Thompson, combines Eric’s and Suzy’s deep devotion to Southern roots music with their daughter Allegra’s fresh perspective,” according to their bio. SOUTHERN FUN: The Red Barn Community Music Series presents southern roots music proponents Thompsonia on Oct. 8. The SLO Jazz Festival’s Fall Fest features four shows over four weeks starting with Incendio at Paso’s Allegretto Vineyard Resort on Saturday, Oct. 8 (visit 2016fallfest.com for tickets and info). Incendio brings world fusion jazz driven by Spanish guitars and a wide background of musical talent.